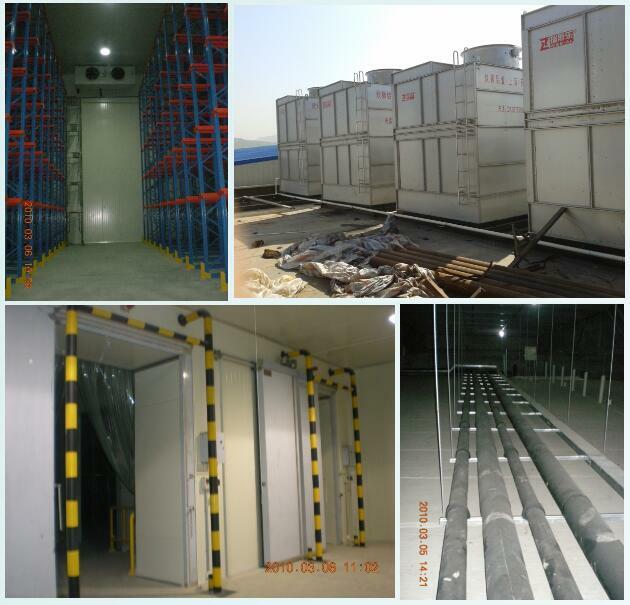 The cold storage project of Fujian Manman Foods Co., Ltd. started in January 2010 and was completed in October 2010. The project covers an area of 200 mu, of which more than 8,000 square feet of cold storage and processing area, with high-temperature storage, low temperature storage, quick-freezing, processing and other facilities; the project is the production, transportation, storage and other multi-functional cold storage. The cold storage adopts copeland refrigeration unit, Shanghai Xinshi Aluminum evaporative condenser, PLC automatic control system. With energy saving, environmental protection, high degree of automation features.